It supports PPPoE/PPPoA relay (PPPoA to PPPoE bridging) so a firewall, router or a PC can log into the Internet directly, having complete control over the ADSL connection. And it is possible to connect a PPPoE client to the Vigor 120 (firewall, Ethernet-WAN router, Apple Airpor or PC) even if the connection to your ISP is still PPPoA (unlike other-brand modems which only offers PPPoE native bridging). This unique feature is very convenient for PPPoA -based ISPs. With the Vigor120 bridge/modem, you can have a true single public IP address (or multiple) right through to your router/or firewall, which also has full control of the ISP connection. 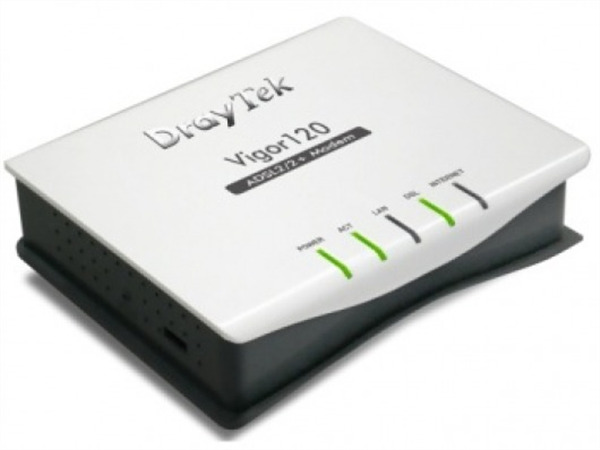 The Vigor120 supports TR-069 and it works with most TR-069-based central management system. DrayTeks VigorACS centralized management system can also facilitate ISP deployment and provide professional remote management for ISPs.